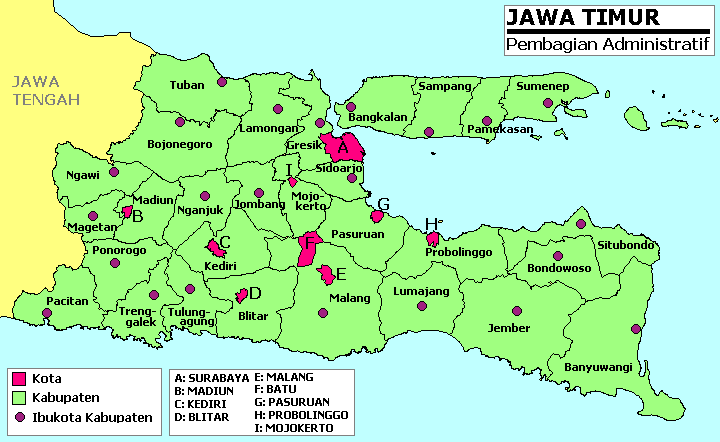 The seventeen newly created regencies in Papua Province will comprise the regencies of Gili Menawa, Moyo, Balin Senter, Bogogha, Puncak Trikora, Muara Digul, Admi Korbay, Katengban, Okika, Northwest Yapen, East Yapen, Numfor Island, Yalimek, Mambera Hulu, Southwest Yahukimo, East Yahukimo and Gondumisisare; in addition there will be two new municipalities of Merauke and Lembah Baliem (Baliem Valley). The nine newly created regencies in West Papua will comprise the regencies of Malamoy and Maibratsau (both taken from Sorong Regency), North Raja Ampat and South Raja Ampat (both from Raja Ampat Regency), Raja Maskona (from Teluk Bintuni Regency), Okas (from Fakfak Regency), West Manokwari (from Manokwari Regency) and Imeo (from South Sorong Regency), while Manokwari will become a new independent city(from Manokwari Regency). Kalimantan will see four new regencies: Sekayam Raya Regency and Tayan Regency (created from Sanggau Regency), Banua Banjak Regency and Sentarum Regency (from Kapuas Hulu Regency) in West Kalimantan, and South Berau Pesisir (from Berau Regency) and South Paser (from Paser Regency) and North Kutai Regency (from East Kutai Regency) in East Kalimantan. Sulawesi will see four as well: South Talaud, or Talaud Selatan (created from Talaud Islands Regency) in North Sulawesi, South Bone, or Bone Selatan (from Bone Regency) in South Sulawesi, and Bolio Huto, Panipi (from Gorontalo Regency) and West Gorontalo (from Pohuwato Regency) in Gorontalo; and two new municipalities: Tahuna (from Sangihe Islands Regency) and Langowan (from Minahasa Regency), both located in North Sulawesi. Later in the same week, the House, at its last plenary meeting of 2013, approved the creation of a further seven new regencies - Mahakam Ulu (in East Kalimantan), Malaka (in East Nusa Tenggara), Central Mamuju (in West Sulawesi), Banggai Laut (in Central Sulawesi), Taliabu Island (in North Maluku), Penukal Abab Lematang Ilir (in South Sumatra) and East Kolaka (in Southeast Sulawesi). ^ Turner, Mark; Owen Podger; Maria S. Sumardjono; Wayan K. Tirthayasa (2003). 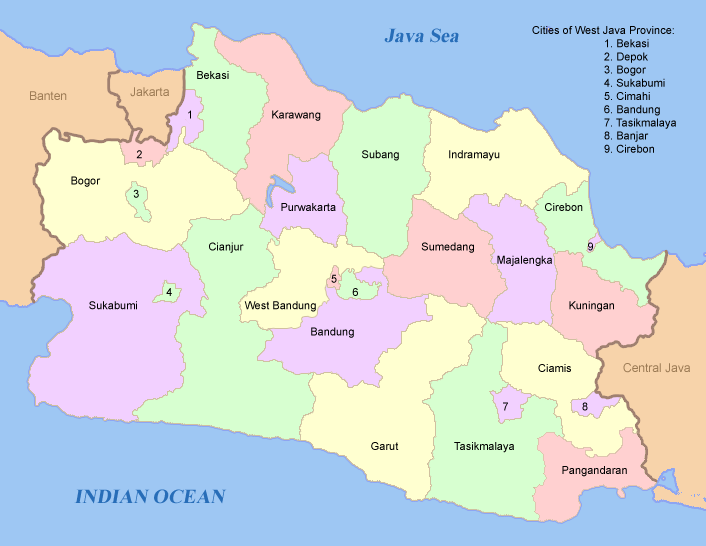 Decentralisation in Indonesia: redesigning the state. Australian National University. Asia Pacific School of Economics and Government. ISBN 0-7315-3697-5. ^ "Profil Daerah (Regional profiles)". Indonesian Ministry of Interior. This page was last edited on 19 February 2019, at 03:06 (UTC).